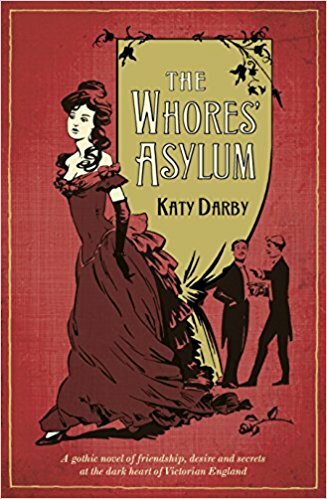 The Whores’ Asylum by Katy Darby is a fabulously dark Victorian tale, set in and around the seedy underbelly of 19th century London. As a young student Edward Fraser was witness to his best friend’s murder after a gunfight with a bitter love rival. Edward never forgave the wicked, heartless woman he blamed for leading these two men astray and ultimately leading to his friend untimely death. Years pass and he continues his studies at Oxford, where he lives with a medical student called Stephen, in a run-down area called Jericho. Stephen studies woman’s ailments and specialises in the tropical and sexual diseases spread among the streetwalkers of the city. When he is approached to work in a home to take care of these fallen women, he takes the opportunity to assist the women and study their ailments. He soon falls in love with the head of the household, the lady who cares for the girls and runs the home. But when Stephen introduces his love to Edward, he recognizes her instantly and he takes it upon himself to make sure Stephen knows the woman’s terrible past. Not only is this book beautifully written in a Victoriana style to add to the overall effect but the tale itself is so fabulously woven that it will have you hating a character one moment and admiring them the next. It also makes some very interesting points about actions that were acceptable for men but deemed improper for women. With moments of utter despair, sexual depravity and blindless love, this book is sure to keep the reader absolutely captivated.